Ormeau Rd and Cromac Dock. The Gasworks fuelled Victorian BelfastÃƒÂ¢Ã¢â€šÂ¬Ã¢â€žÂ¢s rapid industrial growth. Its profits were the major source of funding for building the City Hall. It closed in 1988. 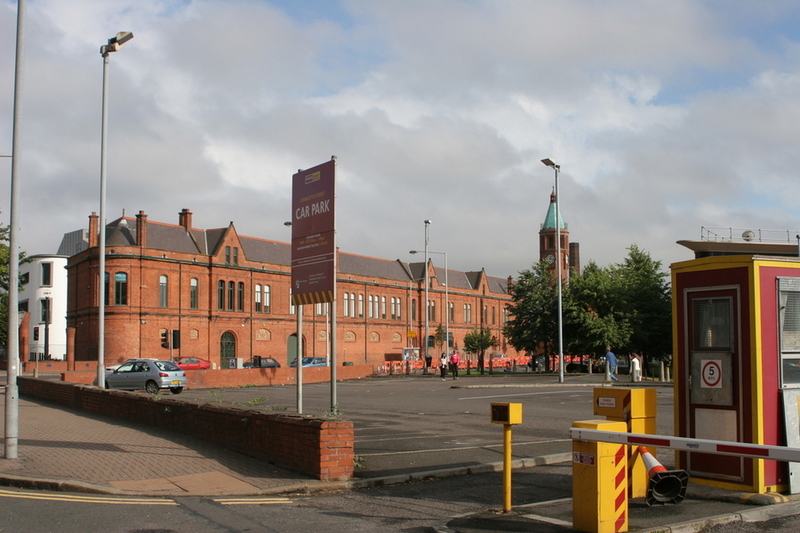 Belfast City Council and the Laganside Development Corporation then undertook to create public gardens with commercial office space. The new entrance, flanked by sculpture columns depicting ÃƒÂ¢Ã¢â€šÂ¬Ã‹Å“Belfast Industry; past and futureÃƒÂ¢Ã¢â€šÂ¬Ã¢â€žÂ¢, at the centre of the original radiating walkways, symbolises continuity between an industrious past and an exciting future. Historic buildings retained include The Administration Building with its fabulous stairway, and the Clock Tower, Meter House and Klondyke Building.